Talley and Crossroads Entertainment & Marketing hosted a special concert and media event in celebration of the acclaimed vocalist’s newest solo outing – The Gospel on Horizon Records. The event featured an intimate look into the heart of Talley and what inspired the theme behind this new Horizon Records release. A bevy of special guests and performers were featured throughout the celebration, including Brian Free & Assurance, Tribute’s Riley Harrison Clark and hit-songwriter Kenna West. 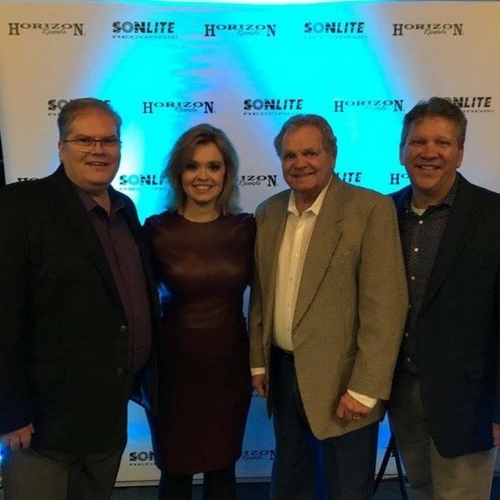 In addition, many notable industry professionals and media representatives were present, including Crossroads Entertainment, Horizon Records, The Harper Agency, Singing News Magazine, AbsolutelyGospel.com, Daywind Music, New Day Distribution and Word Music Publishing. In addition to live music and fellowship, a neat twist was a covered dish buffet meal for the guests of the event. The celebration was filled to capacity with overflow taken to the back of the room. The Gospel releases nationwide and online February 10, 2017. Talley produced The Gospel, which features songs written by Talley, West, Grammy-nominated Cindy Morgan, Sue C. Smith, Jason Cox, Tony Wood, Lee Black, and many more. The Gospel also features guest appearances from Morgan and ACM Award winning Gordon Mote in addition to Clark and Brian Free & Assurance. The debut single from The Gospel, “I Hear a Song” (featuring Gordon Mote), was released to radio this week and is impacting radio now. The Gospel is available to pre-order on iTunes.